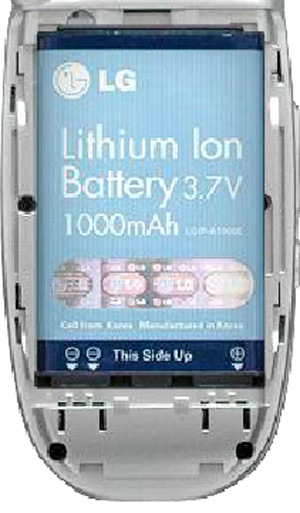 Insert the battery into the opening on the back of the device. Ensure the connectors on the battery align with the connectors on the device. Slide the battery cover upward to lock into place.